We all have a back up plan just in case. 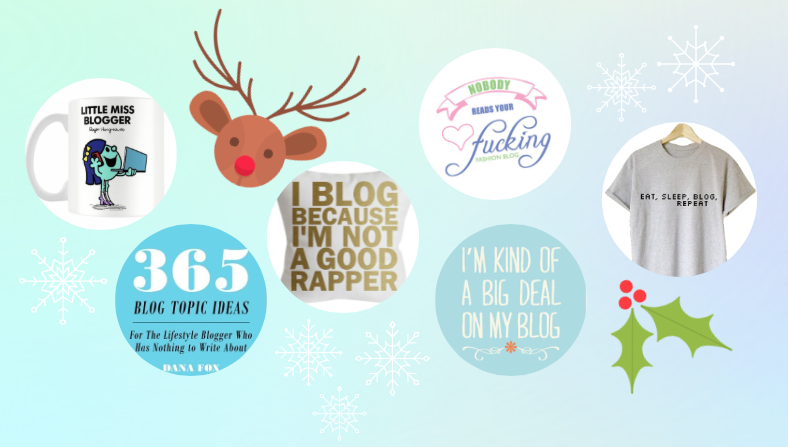 This “I blog because I’m not a good rapper” pillow case would be a great gift to add a bit of humour into a house. ‘When it comes to talking about fashion, trends, and the latest fads to follow, no one does it better than Little Miss Blogger. With a devoted fan base hanging on her every recommendation and a fabulous lifestyle to match, you'll probably find her hanging out on the front row with her BFF, Little Miss Selfie.’ This Little Miss Blogger mug is perfect for all Little Miss Blogger's out there! Great for any blogger, this little tee says it all. "Eat, sleep, blog, repeat". All day everyday. This simple yet contemporary “I’m Kind Of A Big Deal On My Blog” print will make a beautifully humorous addition to any room in your house. 365 Blog Topic Ideas For The Lifestyle Blogger Who Has Nothing to Write About is the book that should always be keep close. Having a years worth of blog topics that are adaptable will keep any lifestyle blogger more than a little inspired when stuck for content. And finally lull the receiver of this card into a false sense of security by the sweet pastel colours of this card, and then when they read it, BAM! Out the window goes their confidence as a blogger. This card would be great for those with a sense of humour…and a fashion blog too…. Which things would you like to see under your tree this year?